Look at this! Is it wavy earth? Or earthy waves? Either way, it's really cool. Where'd you find it, Izz? 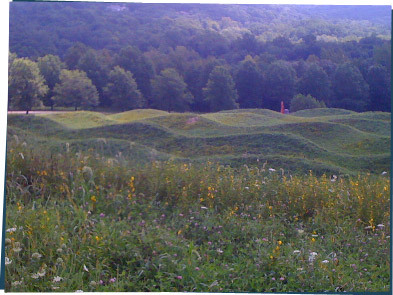 It's a sculpture by the artist Maya Lin, at the Storm King Art Center. She calls it "Wavefield." I like it because it kind of looks like mountains, but it also looks like ocean waves. What do you think it looks like? Write and tell us if you like it!